In the beginning of the 17th century, there was a small Passion tradition during the Holy week started by an earlier Thomas-cantor. Choral Passions were sung regularly in the churches in Leipzig. The first concertante Passion in Leipzig is, according to many writers, the Brockes Passion by Georg Philipp Telemann. This almost three-hour Passion was performed in 1717 by Johann Gotfried Vogler, the former organist and director musicales of the Neukirche. By that time, Johann Sebastian Bach (1685-1750), born in Eisenach, started his new job as ‘Capellmeister,’ in Kötchen. Bach started his Passion performance in 1724, putting his stamp on the Good Friday Vespers service with the ‘St. John Passion,’ one of the older surviving Passions by Bach. Over the years, Bach altered his Passions regularly. His St. John Passion underwent multiple rounds of changes and improvements that resulted in four versions. The Passion, according to St. Matthew, BWV 244, was presented at St. Thomas’ in Leipzig, on Good Friday, 1727. It was a work of extraordinary musical dimensions but was forgotten after Bach died, in 1750. One composer that helped Bach make history was Felix Mendelssohn Bartholdy. In 1829, he performed the, at that time partly forgotten, St. Matthew Passion in Berlin. The chorales that were still performed during the end of the 18th century inspired Mendelssohn to perform the Passion as one big masterpiece again. Other works by Bach, besides the St. Matthew Passion, started being regularly performed. Music by Viennese composers such as Mozart, Haydn, and romantic composers such as Mendelssohn and Schumann, had bigger status and was performed more frequently in Europe. 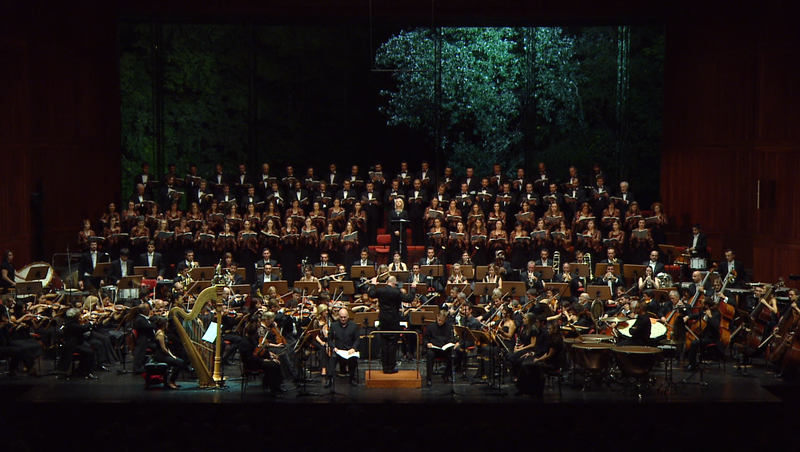 The Netherlands fulfilled a very big role in the return of the St. Matthew Passion in the churches and concert halls. This started in the 19th century when Johannes Verhulst promoted the oeuvre of Bach with the German ‘Bach Gesellschaft.’ There was a lot of attention for the Netherlands’ first performance of the St. Matthew Passion in 1870, in Rotterdam. Not only during the official performance, but also the rehearsals, were visited by hundreds of visitors. But it was Willem Mengelberg who started a yearly tradition of the St. Matthew Passion, on Palm Sunday, in Amsterdam. Mengelberg combined the Royal Concertgebouw Orchestra with the Amsterdam Toonkunstkoor and conducted the Passion himself. Between 1899 and 1919, he led 45 performances, not only in the Netherlands, but also in Frankfurt, Brussels, and Paris. The Netherlands’ Bach Society was at first against the popularity of the St. Matthew Passion. The society was afraid that the performances of the Passion would not be authentic but spreading Bach’s music was one of its goals. Starting in 1922, the Netherlands Bach Society also started to organize an, almost yearly, performance of the St. Matthew Passion. The discussion between the authenticity of the Passion kept going during the years to come. Instead of seeing this as a negative, in the Netherlands there was place for interpretations, different opinions and a Passion for everybody. After the Mengelberg years around 1950, the St. Matthew Passion was officially a Dutch tradition. The movement, led by Gustav Leonhardt, inspired by Nikolaus Harnoncourt, and included Ton Koopman and Philippe Herreweghe, was searching for a true historic performance. It reached its goal in 1983 when a new baroque orchestra was born: a small choir with musicians specialized in Baroque music and an orchestra that played historic instruments. This performance was highly valued, but there was still room for other interpretations. Today a lot of unique recordings of this Easter Passion exist, each with its own beauty and particularities. Around Good Friday and Easter you can listen to, and watch, many Passions at Stingray. Stingray Brava and Stingray Classica present two versions of the St. John Passion and one Brockes-Passion. In addition, there are two beautiful Easter Concerts from 2015 and 2016 in Baden-Baden Germany. The Berliner Philharmoniker plays with star soloists Isabelle Faust and Yo-Yo Ma. Listening to the Passions is also possible via Stingray Music. The special Baroque channel has many of Bach’s masterpieces, and the vibe ‘Good Friday Hymns’ is full of great classical music for Easter.